COCOA BEACH, Florida -- An unarmed man who was shot by Cocoa Beach Police four years ago and later charged with battery on a law enforcement officer was found not guilty of that felony by a Brevard County jury on Wednesday. 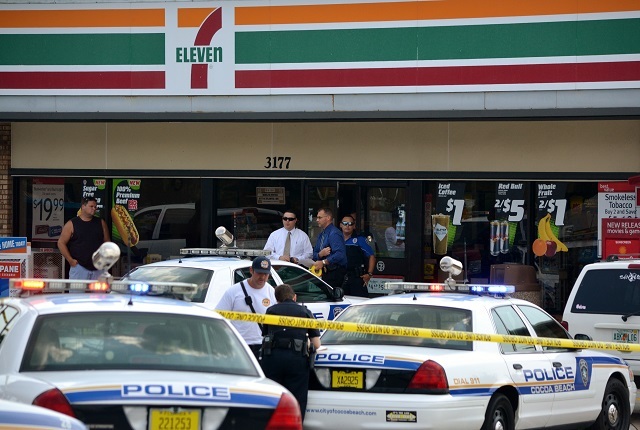 The officer-involved shooting occurred just after 3 p.m. on May 30, 2012 at the 7-11 convenience store located at 3177 North Atlantic Avenue in Cocoa Beach, Florida. According to witnesses, the then 30-year-old Oliver H. Babadjide was behaving erratically, but not violently, when he was confronted by police. A responding officer tased Babadjide. But when the taser failed to subdue the suspect, the officer shot him twice. The Cocoa Beach Police Department maintained that Babadjide had struck the officer. However, the jury remained unconvinced. The jury did find Babadjide guilty of a lesser charge of resisting arrest without violence - a misdemeanor. After receiving the jury's verdict, 18th Judicial Circuit Court Judge Charles G. Crawford sentenced Babadjide to time served plus $1,000 in court costs. Court records show that Babadjide has filed a civil suit against the City of Cocoa Beach for damages arising out of the shooting.